Medical cost sharing programs offer a more affordable alternative to Obamacare and traditional health insurance plans. Most consumers can get comparable health care benefits through a health share plan at around half the price of regular medical insurance. You become a member and then you receive health care benefits, just like in health insurance. The money from member fees is pooled to cover the costs of medical services for those in the group. Some of the more religious medical cost sharing programs, like Samaritans and MediShare, have interactions between members. You might even write letters, offer prayers and send money directly to another member. Aliera Healthcare is the most secular or non-religious of the Health Share Programs. And, it operates the most like health insurance. You pay your monthly premiums. You access your doctor and hospital network, and Aliera pays directly to the provider. The more Christian healthcare sharing programs require strict adherence to standards of conduct regarding sexuality, alcohol consumption and even church attendance. Aliera has a very open statement of beliefs. Basically, you have to agree to take care of your health (whatever that means to you), and you have to believe in some sort of a God. Any religion and any sexual orientation is allowed. These healthcare plans, also known as Health Care Share Ministries (HCSM’s), provide a platform for like-minded people who have a similar set of beliefs to come together to share healthcare costs. All the “sharing” might sound funny to you, but really that is the essence of health insurance. People group together under the banner of a health insurance provider, pool their money with the provider, and the provider covers certain agreed upon medical costs. How are they different from health insurance? There are a few differences. Like I mentioned, you must agree to a statement of beliefs. With Aliera this statement is very broad so that most people can agree to it, but with some of the Christian health share companies, this statement gets very specific. We are very excited about Aliera because it opens up this great opportunity to more than just religious people. In some ways, the health care sharing organizations offer coverage similar to what you could get before the passage of the Affordable Care Act. They have a $1 million limit. And, there are exclusions for pre-existing conditions. That may sound like a drawback, but that’s how they can offer you such low rates. Also, if the $1 million limit or the pre-existing condition exclusions are a problem for you, you can just switch to an ACA plan or another health insurance plan at Open Enrollment. Worst case scenario, you’re on this plan for 12 months. Health sharing plans have some different terminology for basically the same benefits. For example, they use MSRA (Member Shared Responsibility Amount) instead of the word Deductible, but the two operate the same. A deductible or an MSRA is the amount you pay before your benefits kick in. With these plans, you will see messaging that says, “This is not health insurance.” That can be confusing to people when it looks and operates just like health insurance. However, the health sharing plans are not licensed with the Department of Insurance, and should the health sharing company go bankrupt, you would not have the same protections as you would with a traditional health insurance plan. The biggest pro is the price. These plans are a lot cheaper unless you’re getting a subsidy through Covered California. Also, the Aliera Healthcare plans offer a broad range of doctors and hospitals. They use the nation-wide MultiPlan PHCS PPO network. With the ACA plans, the networks have been getting smaller and smaller. PPO’s have been switching to EPO’s and more companies, like Blue Shield, have been pushing their HMO products. However, health cost sharing plans are not for everyone. There are some cons as well. If you qualify for a subsidy with the ACA, then you might save more money with an Obamacare plan. And, if you have serious pre-existing health conditions there is a waiting period usually of around 12-36 months for coverage. With Aliera Healthcare the waiting period is 24 months. For more details on the on the drawbacks, click here. How were Medical Cost Sharing Programs created? For millennia like-minded groups have been coming together to help each other with healthcare needs. Official religious healthcare organizations popped up in the 20th century. Members joined with like-minded people and opted for a group sharing model. They believed that this model would save them money when compared with traditional health insurance. How are these health care plans affected by the ACA? Under the Affordable Care Act, certain Health Care Sharing Ministries (HCSM’s), were allowed to be exempt from the Obamacare penalty. These HSCM’s had to meet certain criteria. They had to be non-profits that existed before 1999. They had to have a statement of beliefs that their members adhered to. And, they had to use different terminology than is used with health insurance. Six health share companies were approved by the Affordable Care Act. Most of them are Christian, have strict requirements, and do not operate like health insurance. That’s why we like Aliera Healthcare. Why do we recommend Aliera? Again, if you have pre-existing health conditions or your income qualifies you for a substantial Obamacare subsidy, we may not necessarily recommend Aliera for you. However, if your subsidy isn’t that high, you still might save with Aliera. Also, if you do not have a qualifying life event that allows you to enroll in an ACA plan at this time (during the Special Enrollment Period), then we still might recommend getting an Aliera plan even though you might have a pre-existing condition that would be excluded from the coverage. At least you would have some health care coverage. And, you could switch over to a regular health insurance plan once you are able during the Open Enrollment Period. For many people, Aliera just makes sense. The price is right, the benefits are good and company is reliable. 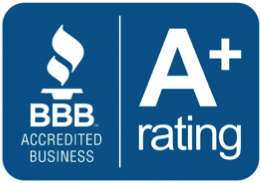 Aliera Healthcare has an A+ rating with the Better Business Bureau. Also, Aliera is the only health sharing program that operates like health insurance where the company pays direct to the provider. This saves you a lot of unnecessary hassle and paperwork that others have to do to get reimbursed for every single health care expense. Aliera has the most flexible statement of beliefs. Pretty much anyone can agree to it.